Google Maps works great in Beijing, but it has never worked accurately in Shanghai or many other parts of China. Countless requests to Google and Apple to fix the problem go unanswered, so we’re forced to take matters into our own hands. 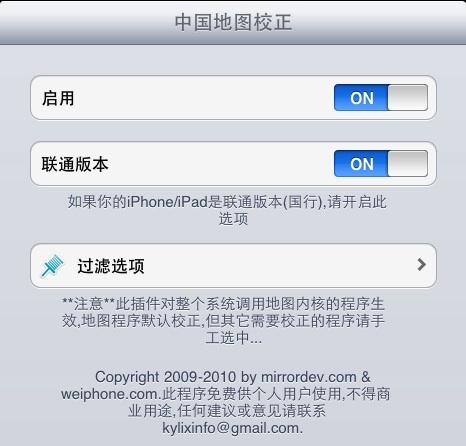 You’ll need to Jailbreak your iOS device (which is completely legal), thereby installing Cydia. Click the “Add Source” button to continue, Cydia will verify the URL, then download a list of packages. Once that’s complete just press “Return to Cydia”, and on the top right of the Cydia window click “Done”. Now, click on “MirrorDev” in your list of Sources, and choose “Location Fixed” from the list. Click the “Install” button on the top right. Thanks to the developers at MirrorDev for doing what Apple and Google have consistently failed to do. Better yet, check out MirrorDev’s post about the Google Map Fix. Thanks , I have just been searching for info about this subject for ages and yours is the greatest I have came upon so far. But, what about the conclusion? Are you certain concerning the supply? I impressed, I must say. Actually rarely do I encounter a weblog thatboth educative and entertaining, and let me let you know, you will have hit the nail on the head. Your idea is excellent; the difficulty is something that not enough persons are talking intelligently about. I am very blissful that I stumbled throughout this in my seek for one thing relating to this.